Being involved in a car accident is never an easy experience, regardless of who’s fault it is or how many accidents you’ve been in. Not only do you have to deal with calling the police, exchanging insurance information with all other drivers, and getting your car out of the road, but you must also make sure you and everyone else involved are uninjured. Unfortunately, many people do not seek medical attention following a car accident, especially when they are minor in nature. However, this is a huge mistake that could carry devastating consequences. Many people quickly realize they have been injured immediately following a car accident, but this is not always the case. While fractures, lacerations, cuts, and many other injuries often come with clear symptoms, it is the injuries that are not as clear that are often the most worrisome. This is why it is so important that you always seek medical attention following a car accident. One of the most common injuries that occur as a result of a car accident are back injuries such as herniated discs. 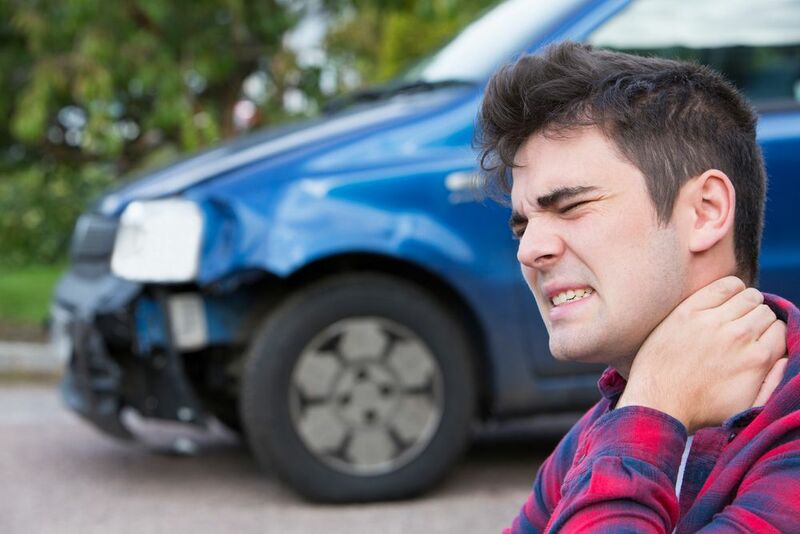 While whiplash is perhaps the biggest complaint following an accident, there are other injuries that may not be immediately obvious. In some cases, the force of a collision can cause the tissue in between the vertebrae of the spine to expand and cause discomfort, maybe even rupturing over time. A chiropractor can assess your injury and perform various spinal manipulations to reverse the damage. We don’t often hear about knee injuries following car accidents, but they are quite common. Drivers and passengers are often thrown forward in car accidents, causing their knees to strike the dashboard, which can lead to damage. The shoulders sustain some of the most serious injuries following car accidents. While it is imperative you wear your seat belt – it can save your life – the force of the seat belt as it wraps around the shoulder in an accident can cause serious damage. If left untreated, these injuries can worsen over time and become chronic, which is why it is important you see a chiropractor at our DFW accident injury clinic right away. Concussions are one of the most common symptoms car accident victims experience, but they can be a sign of a far more serious problem. If your headache persists, it could be a possible sign of a concussion, whiplash, blood clot, or a brain injury. Stomach pain of any kind should never be ignored, no matter how serious or seemingly minor. If you are experiencing abdominal pain after a collision, come into our accident injury clinic right away. This could be a sign of internal bleeding or damage to an internal organ. At our clinic, we treat victims suffering from a wide range of car accident injuries. As we’ve discussed, pain, symptoms, and injuries do not always show up right away. Many injuries show up anywhere from a few hours, days, or even weeks following an accident. If you have been involved in a car accident in the DFW area, please contact Premier Injury Clinics right away and make an appointment. Our chiropractors and accident injury doctors are here to ensure you did not suffer any life-threatening or otherwise dangerous injuries.